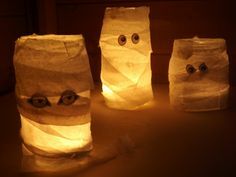 This is going to be another really easy DIY blog post on how to make Halloween mummy jars. All items can be bought from Home Bargains for less than £5! Simply wrap your gauze around the outside of jars and secure it with clear PVA glue. 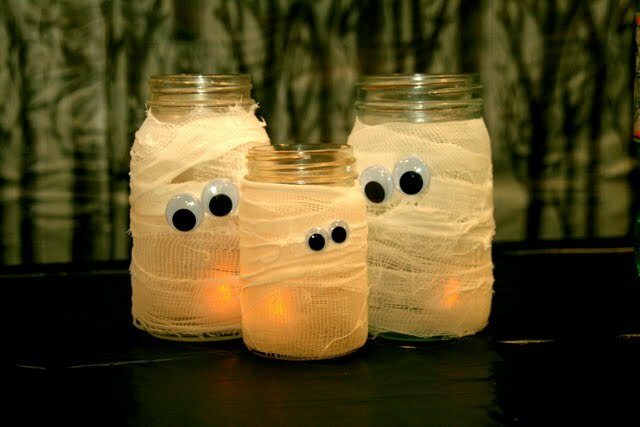 Add decorative bobblie eyes, and pop one battery powered tea lit candle inside the jar in the middle. You're all done! You could also use these are drinking cups or sweet jars. If you do make these tweet me a picture? I would love to see them all. I hope you all have a wonderful day!